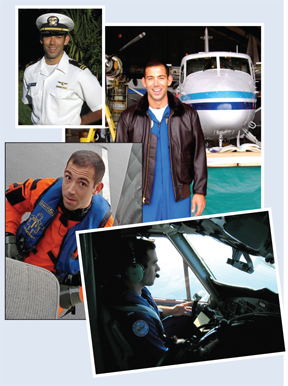 I am currently a uniformed service pilot who struggled - significantly - during my youth with stuttering. There were times when I would go weeks without being able to say a sentence without stuttering, and of course the social consequences and anxiety would only make the problem worse. Heck, even hearing a dial tone on the phone was enough to raise my heart-rate and anxiety knowing I would have to speak to someone in the next few seconds. My family graciously was able to access a speech therapy clinic at the local college in Maryland and after several years I was able to receive treatment and assistance with a problem that I have, frankly, been able to conquer in and out of the cockpit. I can recall the impact it had on my adolescence and am grateful for the support of my friends and family during that difficult time in my life. It’s important for young people to understand that stuttering is not, and should not be, considered an ‘absolute’ condition, and that it can and often does improve with proper treatment.